You are welcome to the Rohini College of Engineering and Technology, Mechanical Engineering Department. It gives me pride and pleasure to introduce our department. In our department, we have high expectations. We expect our students to perform at high academic level, and for our graduates to go well beyond being significant contributors. We expect each, in his or her way, to become a leader. The lines said by Henry Royce (Car Designer and founder of the Rolls-Royce Car Company) describes the strategy and practices that the Department of Mechanical Engineering follows to be a preferred destination for students, researchers and teachers. The department has well qualified and dedicated faculty. Our efforts are put in to develop the ability among students to synthesize data and technical concepts for application to a product design. We provide opportunity for students to work as members of a team on multidisciplinary projects. 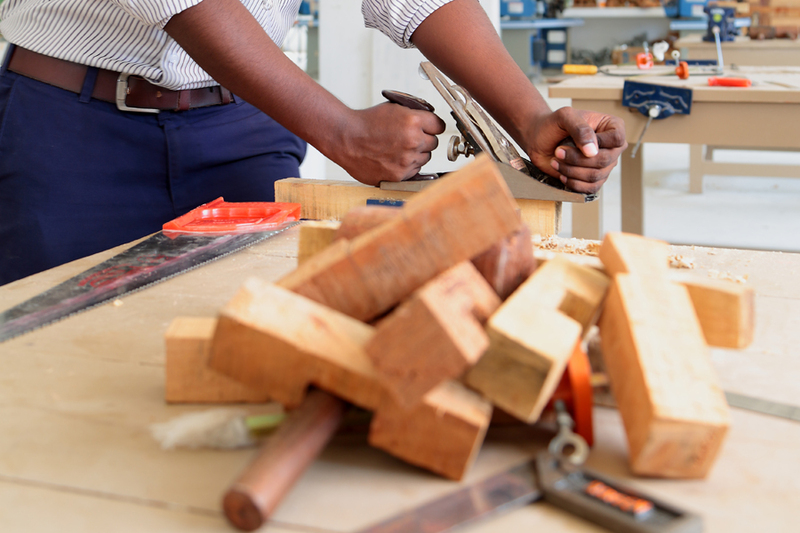 Mechanical engineering department provides students with sound foundation in the mathematical, scientific and engineering fundamentals necessary to formulate, solve and analyze engineering problems and to prepare them for higher studies as well as research. We promote student awareness for life-long learning and to introduce them to professional ethics and codes. Department is providing a balanced curriculum – a balance between theoretical foundation and practical applications, technical knowledge and complementary studies, with the aim of producing well-renowned graduates. We have strong undergraduate and postgraduate level programs in mechanical engineering, including B.E. and M.E – Thermal Engineering respectively. The sanctioned students’ strengths of B.E. and M.E. are respectively 180 and 24 per year. For the overall development of student; department of mechanical engineering is associated with memberships of professional bodies such as SAEINDIA, Institution of Engineers (India), ISHRAE. We formulated Mechanical Engineering Students association for conducting technical events. 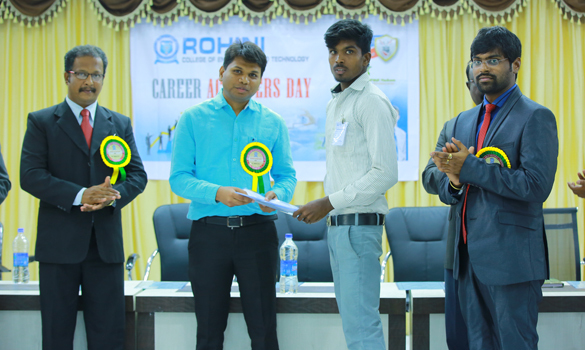 Various activities of these chapters provide student to gain knowledge and interact with students and staff of other colleges/universities as well as Industry Engineers. 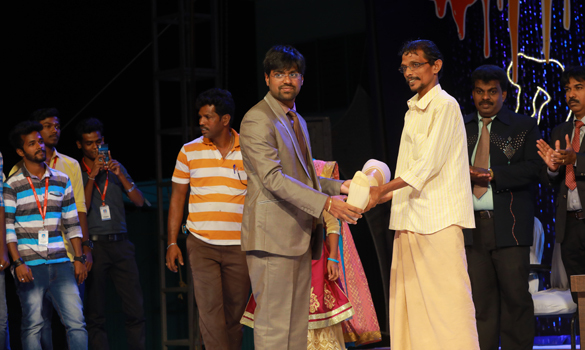 Students have taken part in various competitions and won National Level top positions. 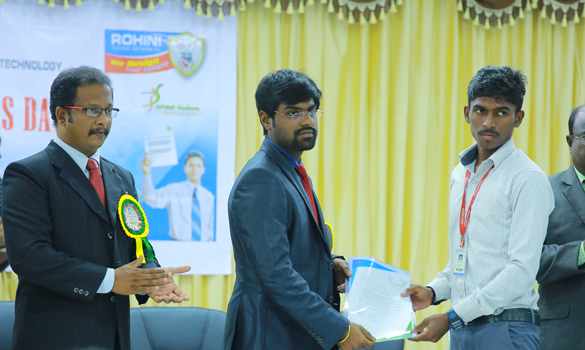 Students of Mechanical department also bagged prizes in academics as well in co curricular activities. Students showcase their talent in various sports and intercollegiate technical events and bag prizes. 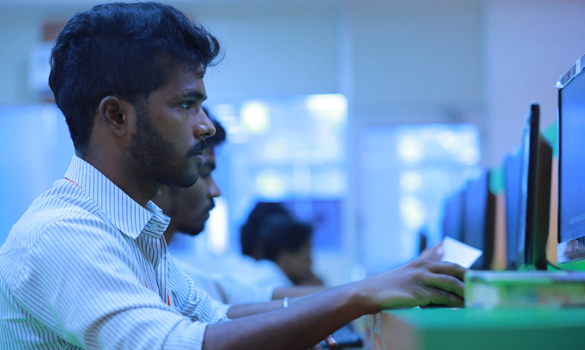 Our graduates are working in Multinational Companies, Government services in India and abroad. Our Technical supporting staffs are unique in their own way. Our department alumni cell is importunate working to maintain the good relationships with all our alumni, who are the most valued output of the department. We always try to engage our alumni in best possible way and seek their advice on how best to achieve our aim. Fluid Mechanics and Machinery lab. 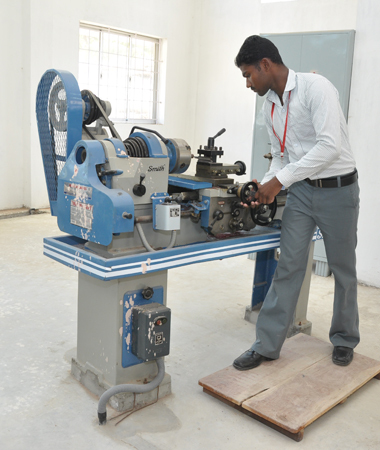 The students are trained to operate all the above equipments, components and learn various practices. At the end of the course, students are asked to do a project by applying the knowledge gained during the course. 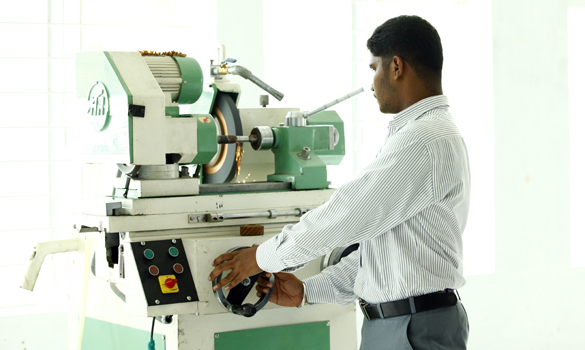 The students are trained to operate all the above machines and learn various machining processes. At the end of the course, the students are asked to do a project work applying the knowledge gained during the course. A basic knowledge of Fluid mechanics and machinery is essential for all the scientists and engineers because they frequently come across a variety of problems involving flow of fluids such as in aerodynamics, force of fluid on structural surfaces, fluid transport. This fluid mechanics lab helps to understand these physical processes more closely. Various apparatus are available in the laboratory like, Verification of Bernoulli's theorem apparatus, venture meter & Orifice meter. Various types of pumps and turbines are also available. This lab is for mechanical 2nd Year students with facilities for the group of 30 students to carry out experiments independently. The lab is well-equipped and enables students to understand the fundamentals of properties of fluids and governing equations like continuity, impulse-momentum equation and Bernoulli’s equation. 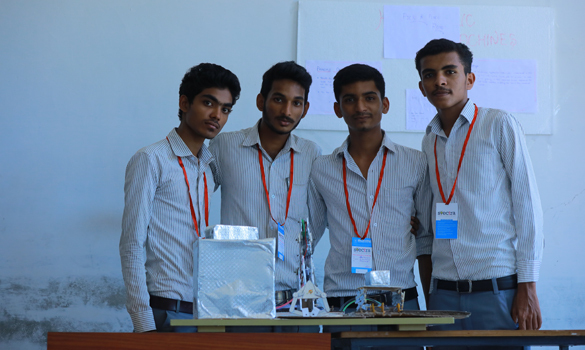 Working on pumps and turbines give the students an industrial like exposure and helps them in placements. 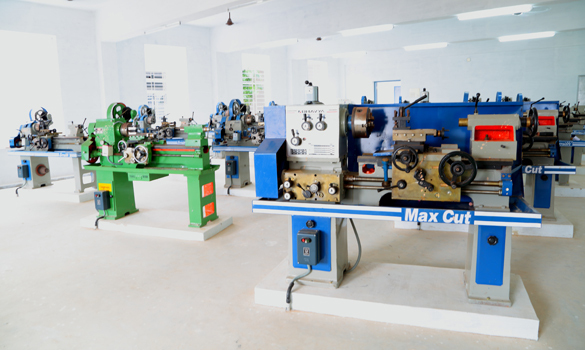 Strength of materials laboratory is well equipped with destructive testing machineries. This lab course is offered in the second year for the students from various departments in the school of mechanical engineering. Students will be able to understand the theoretical concepts of solid mechanics course and enable them to apply it practically in this lab. Different types of tests are being conducted in this laboratory to know the various mechanical properties of a material such as young’s modulus, shear modulus, hardness, toughness, deflection, fatigue strength etc. All the equipments are properly calibrated and tested by the manufacturer in a periodic manner. Final year Student’s project works on testing of various materials like composite materials, ferrous and non ferrous alloys have also been done in this laboratory. Students are also utilizing this lab for the preparation of specimen to be tested. Universal Tensile Testing machine with double 1 shear attachment – 40 Ton Capacity. Spring Testing Machine for tensile and compressive loads (2500 N). Torsion Testing Machine (60 NM Capacity). Impact Testing Machine (300 J Capacity). The Thermal lab provides lot of opportunity to the students to study different types of IC engine and to do their innovative projects. The performance test, heat balance test, the retardation test and emission test can be carried in variety of IC engines like petrol / diesel / biodiesel fueled with single / double / multi cylinder engines with modern mechanical / electrical loading devices. Engine setups enable study of engine performance for brake power, indicated power, frictional power, BMEP, IMEP, brake thermal efficiency, indicated thermal efficiency, Mechanical efficiency, volumetric efficiency, and specific fuel consumption, A/F Ratio, heat balance and combustion analysis. Here different fuel testing equipments are also available. From this, students can measure viscosity, flash point, fire point, pour point, and cloud point etc. of any fuel. This lab also offers to the III Year B.E Mechanical Engineering Students to make them understand the principles of conduction, convection, Radiation boiling and Condensation modes of heat transfer and principles of Refrigeration and Air Conditioning. I.C Engine – 2 stroke and 4 stroke model. Apparatus for Flash and Fire Point. 4-stroke Diesel Engine with mechanical loading. 4-stroke Diesel Engine with hydraulic loading. 4-stroke Diesel Engine with electrical loading. Data Acquisition system with any one of the above engines. Steam Boiler with turbine setup. Forced convection inside tube apparatus. Thermal conductivity of insulating powder apparatus. Parallel/counter flow heat exchanger apparatus. Single/two stage reciprocating air compressor. CAD (Computer Aided Design) provides a convenient mean to create designs for almost every engineering discipline. It can be used for architectural design, landscape design, interior design, civil and surveying, mechanical design, electrical engineering, plant design, industrial design, duct design, electronic circuit design etc. To present an overview of CADD and describe its applications in different fields. To describe common terms associated with CADD hardware and software. To introduce the advanced capabilities of CADD and how they can be used to increase productivity. To provide information about the CADD industry resources. Model the 3-D geometric information of machine components including assemblies, and automatically generate 2-D production drawings. Understand the basic analytical fundamentals that are used to create and manipulate geometric models in a computer program. Model complex shapes including freeform curves and surfaces. 120 Computer nodes or systems, networked to the server with high down speed. AutoCAD for drafting the product. CREO for modelling the product. ANSYS for analysis the product. In Dynamics Lab, the students are doing the experiments related to their theory subjects. Various equipments like governors, gyroscopes and balancing machines are available to understand machine dynamics. The working models of simple mechanisms like gears, cams and followers are very much useful to understand Basic mechanisms for students. 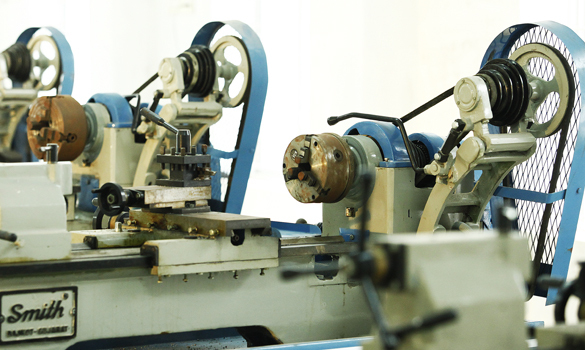 The objective of this lab is to impart practical knowledge on design and analysis of mechanisms in the machine tools. Torsional Vibration of single rotor system setup. Governor apparatus - Watt, Porter, Proell and Hartnell governors. Kinematic Models to study various mechanisms. Metrology is the science of measurement. Metrology Lab in our department is equipped with various measuring instruments, gauges and measuring machines. It makes the students to understand the basic principle involved in measuring process that suits for the respective product and its importance in the quality control (Control charts & process capability). The metrology lab is well equipped with a wide variety of traditional dimensional measurement instruments such as vernier caliper and internal/external micrometer as well as optical measurement instruments such as autocollimator and engineering microscope, and supported with different type of gauges such as slip, plug and dial gauges. The students are exposed to learn about the error involved in the measurements, calibration of measuring instruments. Profile Projector / Tool Makers Microscope. Vibration / Shock Measuring Setup. Automation plays a major role in industry for making defect free products with improved productivity. The first objective of this lab is to familiarize in fluid power automation and different components of Hydraulics, pneumatics, electro hydraulic / electro pneumatic and PLC based systems. The second objective is to give hands on experience in designing and executing of circuits for real systems. The virtual simulation experiments are based on electro pneumatic, electro hydraulic and PLC based systems. This course is focused for third year under graduate students to learn the basics of automation and post graduate students to get enhancement in the area of automation. The under graduate and post graduate students when they are in final year may utilize this knowledge to design and development of automated systems. Basic Pneumatic Trainer Kit with manual and electrical controls/ PLC Control. Hydraulics and Pneumatics Systems Simulation Software. 8051 - Microcontroller kit with stepper motor and drive circuit sets. Image processing system with hardware & software. 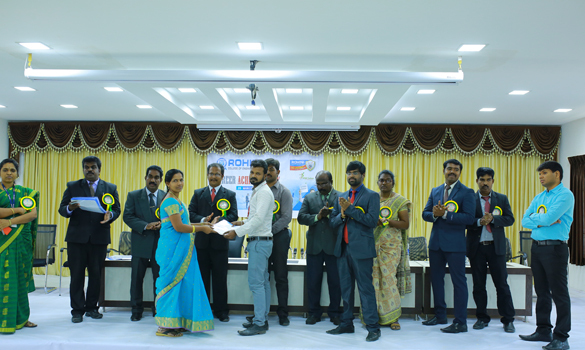 RCET is one of the preferred academic institutes for a large number of organizations for recruiting our Engineering graduates. The academic excellence at Mechanical Engineering is reflected in its student's exemplary record in placements in the corporate and engineering sectors. Industry personnel are invited periodically to enrich the knowledge of our student community with the latest technological innovations and industry practices. Department has consistently maintained an excellent recruitment record. The biggest names in the corporate world visit the campus on a regular basis, with enviable recruitment offers. Most of the top companies across the nation, visit mechanical department for Campus Recruitment. The Companies visiting Mechanical engineering department for campus recruitment are, Indo Shell Mould, Sharp Pumps, Point Pumps, Mahendra Pumps, Gestamp, Inter Pump Hydraulics, Hwashin Automotive, JB Steel, Tenneco, IMCO, RS Auto Components, WEG. The overall placement statistics for the year 2015-2016 is around 86 % and for the year 2016- 2017 is 95% excluding students interested in higher education. In order to boost the confidence of the students during selection process, mechanical engineering department also provides pre placement training sessions in the areas of Resume Writing, Group discussions, HR interview preparation and personality development. 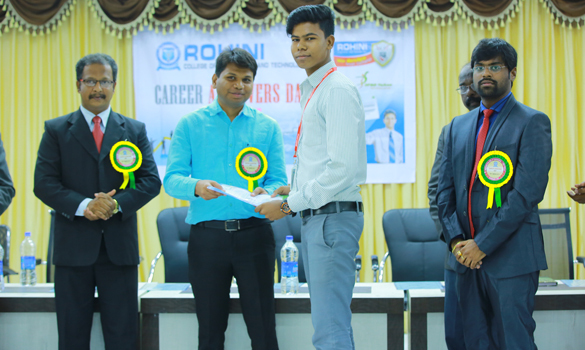 In addition to providing Placement support to the students in the prestigious organizations, we also facilitate training of our students, internship opportunities, and project work for the students in the final year, continuous institute-industry interactions, counseling of the students on job opportunities, facilitating industry visits and inviting distinguished speakers to add value in our programs. The Product Development center in Rohini college of Engineering and Technology is a central facility available with the Mechanical Engineering Department, First floor of Mechanical Engineering Block wherein all the students of the department (UG & PG), research scholars and faculty can work with their innovative ideas to give a product to our society. The students are encouraged to learn, practice and apply the knowledge gained into their research areas. Initially this facility is introduced mainly for PG students (Project Work) to evolve concepts and convert it into a complete product. RPDC is air conditioned and furnished with 30 networked systems with uninterrupted power supply, internet and projection facilities. 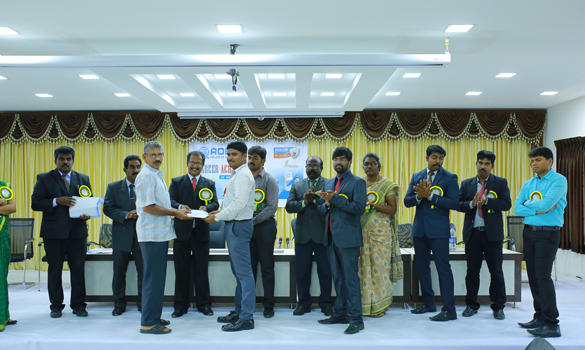 TOur final year UG students developed an innovative product and delivered to the society in the year 2017 under the guidance of department head Dr. S. Indran. Brief description:- Composite materials have been continuously replacing traditional materials, because of their superior properties, such as high tensile strength, low thermal expansion, and high strength-to-weight ratio. Natural fiber reinforced composites are more attractive, due to their high specific strength, lightweight. Natural fiber mixed with other reinforced polymer composites are finding increased applications in many engineering fields, especially in the construction, automobile and aviation industries. Our department student project mainly concentrates on medical applications based on aspects of composites. We are planning of introducing our new natural fiber composites to the medical field, so that, we can replace such synthetic reinforced composites. We have decided to go for a prosthetic socket limb, which is a mechanical-medical application. A Ten year old Girl and 45 year old man, who are all amputees due to Accident, were opted for the project and dimensions were obtained from him for further design and analysis. We have decided to use Cisssus quadrangularis stem fiber and cotton fiber along with polyester resin composite in our project to manufacture prosthetic limb socket. We have also taken the same design and manufactured glass fiber prosthesis. Since glass fiber reinforced has been an existing one, certain properties were compared with natural flax fiber reinforcement, where desirable properties were obtained from natural fiber, which was favorable. Later for the natural flax fiber a test specimen was prepared according to the ASTM standards for the following tests such as Tensile test, Flexural test, Impact test, Water absorption test, which was prepared in a die of dimension 300 x 125 mm measurement. The following results are obtained from tensile, flexural, impact, water absorption test. Later the design was done using the results from the test specimen in SolidWorks premium edition (2014), and analysis was done in ANSYS 15 using properties such as young’s modulus, poisson’s ratio and density. The properties obtained were Tensile strength of 132.2±3.5 MPa, Poisson’s ratio of 0.45, Density of 1.22gm/cm3 , Flexural strength of 143.9 MPa, Impact strength of 12.87 J/cm2, Failure stress of 193 MPa. We did both the fabrication of this project (Using glass fiber and natural fiber) by RTM process under the supervision of internal guide and a prosthetist authorized from CMC Vellore. 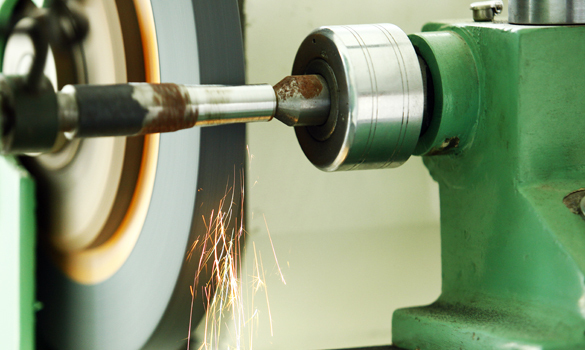 After the curing of the product, certain surface finish operations are performed by grinding off its sharp edges. Later rough checking is done and limb is attached to the foot. The foot is made of rubber with internal wooden structure to avoid sudden shocks. Through our project, we compared the existing synthetic glass fiber and natural flax fiber by designing and manufacturing them. The weight, cost, toxicity and economic problems were solved in the project. When comparing with the glass fiber reinforced prosthesis, which was used previously, our product is of low weight, low cost and free from toxicity. The product was successfully handed over to the patients, who is economically very poor, at free of cost.